I have lived in downtown Kitchener (DTK) for roughly 14 years of my life, residing steps away from central DTK spots like Victoria Park, Charles Street Terminal and City Hall. I’m also located near the less acknowledged, yet imperative, markers of social assistance that provide our city with places of refuge and much needed support for those in need. I’m a minute away from OneROOF, I passed by the House of Friendship every day when I walked to school and I go by the welcoming windows of The Working Centre every time I make my way through downtown. Over the past few years, businesses like Google have established Waterloo Region’s tech sec-tor. Beautification efforts to improve the downtown streetscape have been continuously put into motion, and the ongoing construction of the LRT has been the focal point of Kitchener-Waterloo expansion since its approval back in 2011. Through all of these endeavours to make our city more vibrant, more prosperous and more pleasing to look at, there is a noticeable area of neglect in this detailed process of re-imagination that has been left at a standstill. Despite all of the unique localities this promising region has to offer, there is a prevalent problem connected to KW and cities like it in Southern Ontario that is difficult to ignore — people experiencing homelessness. Although a report released on May 4 documented an apparent 12 per cent decrease in people experiencing homelessness from 2014 when similar data was compiled, the issues that these people are facing have become even more complicated. The report documented a total of 264 people experiencing homelessness on April 23, with 85 per cent stating that they were living long-term in shelters and the remaining number spending their nights in short-term, public shelters or tents. “Gone are the days where someone has just had a fight with mom and dad and they just need a temporary place to stay. Most of the youth that we’re seeing have very complex issues: lots of mental health [problems], drug addiction, violence and abuse in their history. Our numbers are remaining steady, but the issues are definitely a lot more difficult to manage,” she added. Increased accessibility, financial support and acknowledgement of the growing need for resources such as mental health services, substance abuse programs and affordable housing are what is vital for Waterloo Region’s ability to flourish. These issues are particularly difficult to tackle for a shelter like OneROOF, as it is the only shelter in the Waterloo Region that is targeted towards youth experiencing homelessness or youth at risk. “We are the only youth-specific shelter for young people in Kitchener-Waterloo, and although shelter is not the answer to the issue, it certainly is part of the continuum to break the cycle of homelessness. What we’re lacking is the rest of the continuum,” Dietrich-Bell said. And while there are shelters in the surrounding area that are available for people of varying needs, including temporary housing, the resources that are required to build and maintain a sustainable foundation to live off the street is what is really essential for long-term progress. “So when there’s no affordable housing in the community and a landlord has many folks vying for the same apartment, it’s not likely that they’re going to opt to give it to a young person who’s facing barriers and is homeless. There’s also, and has been for many, many years, a gap in the availability of substance abuse programs and timely mental health programs,” Dietrich-Bell said. When there is no additional government support for non-profit organizations like OneROOF, the House of Friendship or the YWCA, donations, recognition and assistance from the community are invaluable in keeping their doors open and facilities running. “We don’t receive any provincial or federal funding, so we rely on the community and grant writing and each year we have to start over and hope that we continue to garner the support,” Dietrich-Bell said. Along with donations, a step forward to improve the way homelessness is treated is changing the way we see the people who are affected by it. It is incredibly easy to cast judgement on the people you walk by on the street and assume they are living the way they do for a particular reason you know nothing about. While walking through Downtown Kitchener especially, it is a common occurrence for me to see commuters giving a wide berth to someone who is asking for money. Businessmen in suits distractedly step over people sleeping on the sidewalk, like they’re nothing more than litter. The general public behave like the problem lies solely in the people who are affected by these difficult circumstances, as opposed to the city, who should be prioritizing the funding for the services that could effectively help those experiencing homelessness. “People need to see them as individuals first and their circumstances second. We get into trouble when we start labelling people and seeing only the label. Our fears and our ignorance gets the better of us and then we treat them as less than human beings,” Dietrich-Bell stated. When speaking with Julia Manuel, director of the Waterloo Region Sexual Assault and Domestic Violence Treatment Centre, she detailed the services available for these survivors: “Our program is one of 35 centres across the province, so we’re a part of the sexual assault domestic violence network and our program is unique in that we have 12 social workers [and] 12 nurses that respond as a team to both St. Mary’s hospital and Cambridge [Memorial],” she said. Unsurprisingly, women, men and youth who are in unstable living situations or are homeless are at a higher risk for numerous potential risks and dangers, such as sexual assault. “I want to say that we see a correlation between sexual assault and homelessness. We do see women who come through who are not always necessarily homeless in that they’re living on the street, but what we see a lot of are women coming in who are victims of human trafficking,” Manuel said. “We see that a lot with young kids, like young teenagers, where they’ll come in and say their parents kicked them out or they’re from group homes — so they don’t actually have a home. People live on the street, but they’ll bounce from place to place and then may get assaulted [that way],” she said. My hope is that we can continue building and improving this city so that the people who are experiencing homelessness and are less fortunate, yet equally deserving, can be given the same chance at a home to call their own. Exposure to the numerous dangers are heightened due to not having a home, which is an aspect that she has seen through her work with the program. Programs like this are highly needed, as they give victims in a variety of circumstances and living situations options to choose from on their own terms. This program connects them with the support they want and need individually, which is why they work well for people experiencing different levels of these complex issues. “Our big role, the main message that I would give to any victim, is that we provide options — if you want the police or you don’t want police. We can provide you with medications, we can connect you with resources, we can also provide short-term, ongoing counselling and/or refer you onto the community agencies,” Manuel concluded. 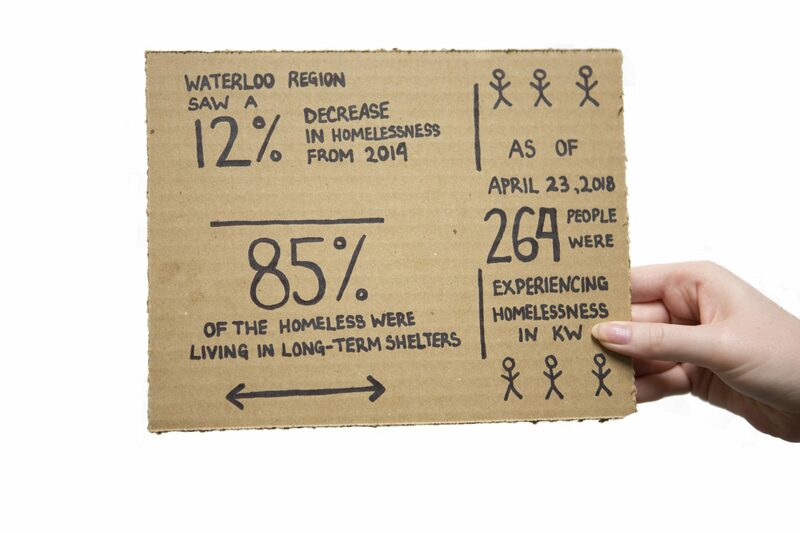 Nearly all of the services that are available for people experiencing homelessness and the risk factors connected to it are located in Kitchener. The expansion of these resources has yet to reach many parts of Waterloo and Cambridge: places that would seemingly benefit those who are affected and in need of these services, but are not solely located in Kitchener. The ongoing expansion and growth of Kitchener is relatively positive for a city that began in 1854 as the Town of Berlin. But with all of our advancements, we shouldn’t be gentrifying our humble roots so that the people who need the social services provided by the tirelessly good-doing shelters and assistance programs in the area are pushed to the outer edges for the sake of appearances and convenience. Attention to the innovations that have been brought to the Waterloo Region and the ones that are being planned for years to come is fine and well, but it should not impede the much-needed progress that needs to be made for the people who need it most. 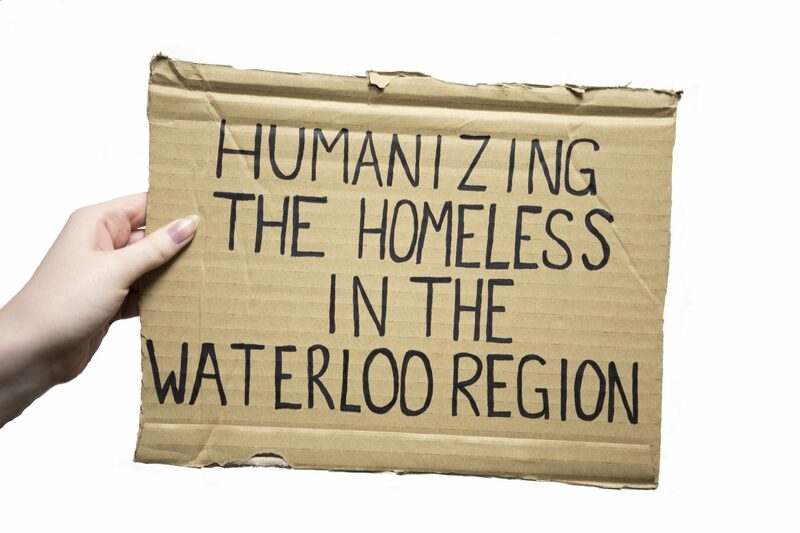 In the 2014 detailed document, “Ending Family Homelessness in Waterloo Region,” an outline of how to help families and those experiencing homelessness in the region, follows a thorough list of ways the community can support and change the methods that our cities are using in order to provide these people with assistance. This online resource is incredibly helpful in understanding a very complex social issue that should be seen as a cycle to work towards preventing, rather than a seemingly simple series of problems that we can collectively hide and ignore. I am incredibly privileged to have a place in Kitchener to call my home.